Like many people I have to force myself to go to the gym (mental note, I really need to persevere with that this month!). I want results immediately and miracles don’t happen on the spot unless you are working with a personal trainer….more is the shame! I had read a lot about Face Gym (www.facegym.com) and I knew that this would be the kind of gym I would make an effort to visit all by myself! 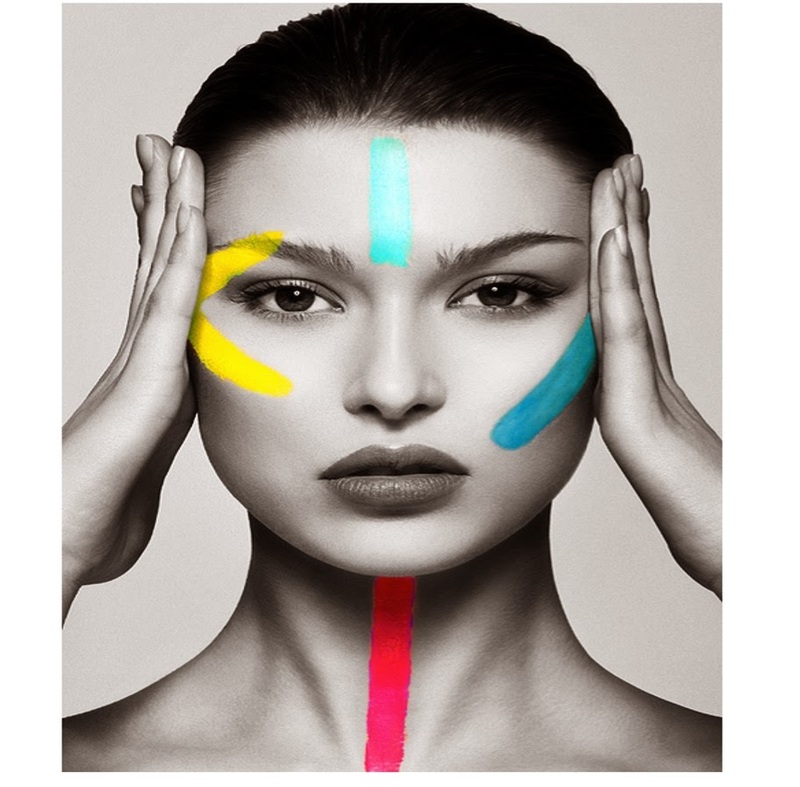 Their face workouts tone the facial muscles to lift and tighten the skin so I was intrigued to try it out. While I was planning for a trip to London, there were so many things to do in a short space of time, but the only thing that I HAD to do, was go to Face Gym at Selfridges. With great excitement, I booked an appointment for my sister in law and I….. what a treat. We happily left our 4 children in the care of Mr Fifi Friendly at Hamleys….. moo ha ha…. and we practically skipped to Selfridges for our appointment, so our bodies got a little workout too! 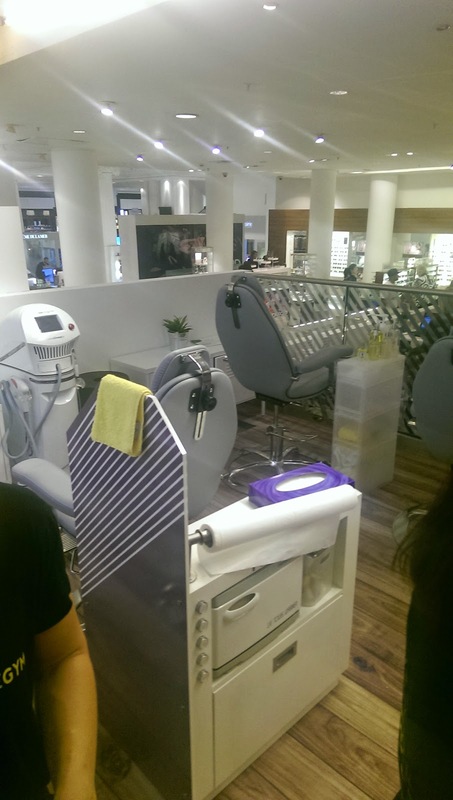 We had booked in to the Beauty Workshop Face Gym, which is situated on the ground floor of Selfridges in Oxford Street. My initial thought was that it would not be relaxing in any way shape or form. Firstly I was about to have my face muscles pummelled in the hands of my lovely therapist. Secondly, the Face Gym section was open plan with the rest of the floor. It was however weirdly relaxing/hypnotic/brutal all at the same time. I had decided to go for their Signature Workout with a Brow Lift for an add on. 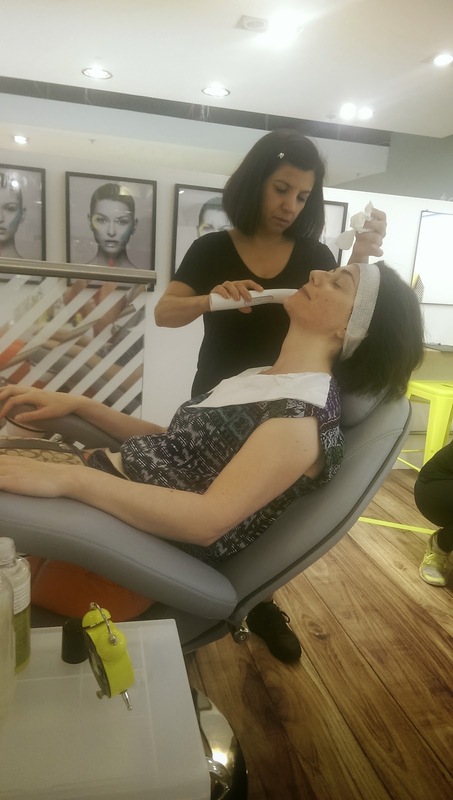 My sister in law had gone for a step up and chosen the Brazilian which is the Signature Workout, long with Pure Lift Face Technology …..aka a cheeky but of low level electrical current to maximise toning and lifting. Her workout finished with some hyaluronic acid. My therapist sat me down and went to work. Using the same ethos as a regular gym work out you have your warm up, cardio, strength and cool downs sections. The therapists hands were used to vigorously move the skin and underlying muscles. I found that the pressure, although firm, varied from “whipping like strokes” to the definite use of knuckles which was the least pleasant of the two. My treatment was only to last for 45 minutes so I figured there was no point in going gently on this. The cool jade roller was a welcome relief at the end of the workout. I was tempted to get one for home! As my sister in law’s workout lasted slightly longer I got to see her therapist working her wonder. Best bit for me was when the Pure Lift made her lip muscle move by itself…. too funny. (I am sure she won’t mind me posting a little pic of her below….without lip twitching!). Upshot…. Did I feel my face looked different afterwards? Yes. Was the workout sore? At times it was less than comfortable….. but I was there to suffer for my vanity. Did Face Gym work wonders on the annoying lines in between my eyebrows? 100% yes, it was like an iron had been taken to them. Did I feel relaxed leaving Face Gym? Yes, but also felt like some of my face was feeling in shock. Next Day? The muscles under my cheeks bones were definitely sensitive to move and touch, so something was working well. Would I recommend? 100% yes, already have. I insisted that my best friend take time out during a trip to London to visit Face Gym. The fact she was in London on a romantic mini break with her husband and had no kids in tow are minor factors. She texted me from Selfridges to tell me she loved it too. 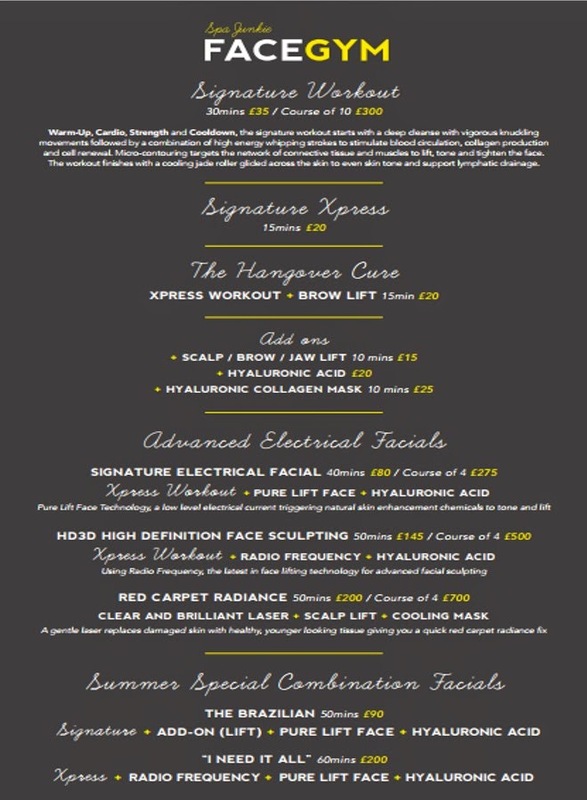 I want a Face Gym in Edinburgh!!!! I want to go back to this gym everyday! Next Post Wheatgrass in a glass…..